Group (CVMG) since 2006. Only CVMG members are permitted to join Ontario BSA Owners. 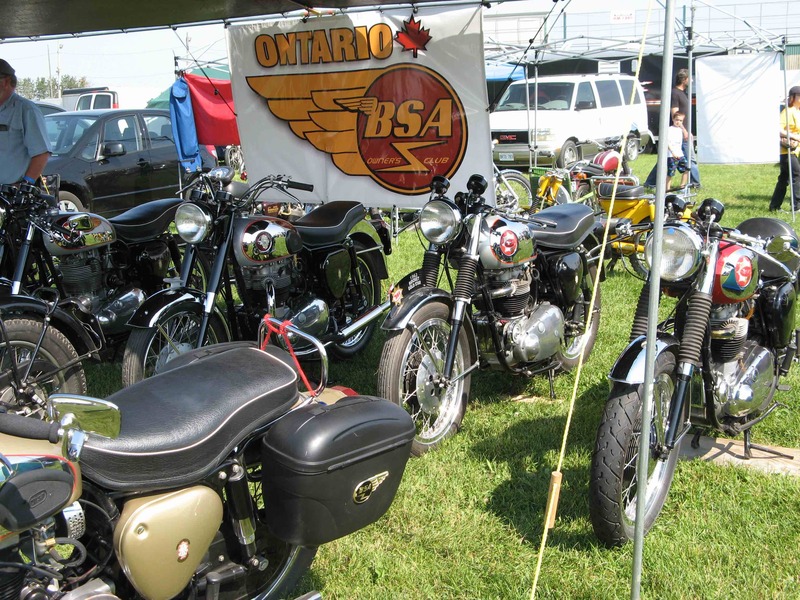 Ontario BSA Owners is a recognized BSA Owners group by the BSA Owners Club of the UK. two annual meetings - spring and fall. typically 1 to 3 other events annually other than meetings. display BSAs as a group at the CVMG National Rally in Paris Ontario. attend events as a group e.g., CVMG events and events in the USA for BSA owners. submit articles to CVMG News. Ohio Valley BSA Owners Club - Very active club including annual August Rally.